Originally training as a designer jeweller, my eye has always been attracted to small details, textures and combinations of materials and colours. Now concentrating on photography I find my trained eye still drawn to the same things. Living in the countryside I am constantly aware of the seasons. This of course includes the changes of light, the wide skies and the growth of various plants, from trees to small flowers. This awareness leads directly to my main subject of image making for my personal work, landscapes. The landscapes are viewed in a variety of ways. Sometimes a wide expanse of fields is within my sight, at other times small details of shadows and plants. 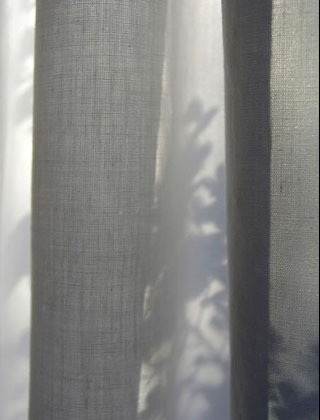 At other times I am looking at the outside through curtains or windows, or reflected landscapes such as those seen on 'Tables d'Orientation' in France. Through all these images I am looking at shapes, textures and colour, often combining and juxtaposing two or more images to create a narrative. Concentrating on local landscapes, sometimes following old maps and often 'homing-in' on particular grid references, showing the terrain at that particular place. I enjoy exploring all forms of nature, month by month and year by year. I am always looking for the unexpected. Travel is a large part of my life and brings new 'landscapes', new colours and a different light. This contrasts well with the English landscapes and enables new narratives to be made. I have undertaken private and public commissions for hospitals and a leisure centre and photographed craftsmen for their publicity. All these must fit a particular brief or dictated theme. I find this exciting and challenging, maintaining a personal approach that mirrors my other work. Some of my photographs are printed as large as 3m x 4m, others are in small books. This change of scale shows that my images can be viewed in a variety of ways and that the finished piece can be appreciated by a wider audience.